Harvest season starts very soon in Texas! For those of you from cooler climates, this may seem very strange. But if you have been outdoors lately, you will feel the blazing hot sun and can imagine just what that does to the grapes hanging on the vine. 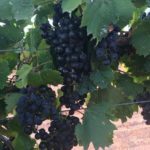 Growers and Mother Nature are on a speedy schedule to get the grapes growing and ready for harvest in the short Texas growing season. Harvesting generally starts in July and runs through August, and sometimes September in more northern regions. Harvest season is one of the most anticipated times of year in the Texas wine industry for growers, producers, and consumers. It’s the telltale time of year where the bounty will determine the future of the wine. It’s also a fun time for winery goers to participate in the harvest. During the beginning of harvest season, many wineries throughout Texas host grape picking and stomping events where guests can participate in the process or just celebrate the season. 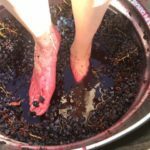 Many wineries offer hands on – or feet on – grape stomping fun where guests can get in a tub of grapes, and squish and stomp the grapes to extract the grape juice. Everyone loves this festive conclusion to the growing season. While every event varies, we’ve compiled a thorough list of harvest and grape stomping events in Texas for you to enjoy. Please call ahead to check if reservations are required, and if there are fees or memberships required to attend. Plan Ahead. Please call ahead before traveling to any of these venues and events. Many require advanced purchase tickets or reservations. 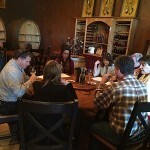 Some winery events are for members only and some are open to the public. 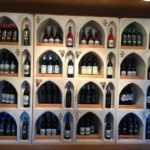 Follow the wineries on social media where you’d like to attend an event to stay up to date on happenings. There is still some time to plan ahead. Plan Your Outfit Accordingly. Stomping is messy and you’ll likely end up with sticky grape juice all over. Resist the urge to wear your cutest dress or new pair of pants and stick with something that you’re comfortable with getting messy. Get Social. One of the best ways to support the Texas wine industry is to let everyone know about it. If you’re sharing your photos throughout the day on Facebook, Twitter, and Instagram, make sure you tag the winery and use any designated event hashtags! Capture the Moment. This is an event that you’re going to want to document, so bring your camera or cell phone with you! Taking a video of the stomp is also a great idea to catch all the action. 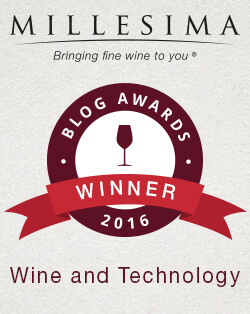 Share your photos with Texas Wine Lover on Facebook, Twitter, or Instagram, and we may add them to this blog post! Some extra photos are on our Facebook page in an album. Stay Hydrated and Shaded. July in Texas is HOT! While wine is considered a liquid, it’s best to bring plenty of water and stay hydrated. 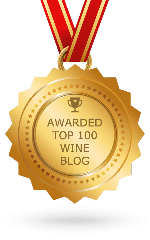 Drink water throughout the event and that way you’ll stay in tip-top grape stomping shape! Don’t forget the sunscreen and a hat too. Get out there and enjoy some of these fun-filled grape stomps! 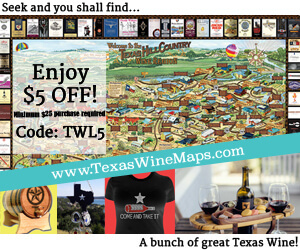 And when you go to a harvest party or grape stomp in Texas, tell them Texas Wine Lover sent you! Cheers! The Harvest Festival is one of many fun events at the winery all year long. 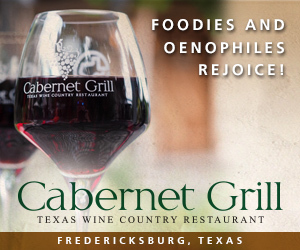 This family friendly event is of course centered around grape stomping with live music. Free to attend. Enjoy harvest for a full seven weekends! Grape stomping includes Sangria and a t-shirt, plus listen to music while grape stomping. Check their Facebook page event for more information. Come join the fun from 11:30 a.m. to 3:30 p.m. at Enoch’s Stomp White Grape Harvest Festival. Harvest and foot stomp grapes. Enter the grape stomping contest and purchase a customized t-shirt. 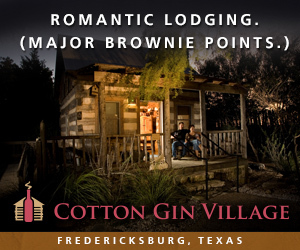 Also enjoy a gourmet meal and listen to live music. Reservations Required. 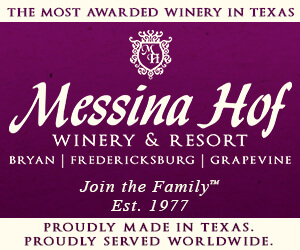 Messina Hof will be celebrating the harvest festival in July and August. Please see their website for all the event dates and more information. Kick off your shoes and join the winery for an unforgettable experience with barefoot grape stomping fun. 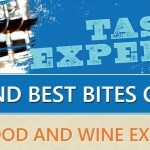 Food will also be offered with two glasses of delicious Blue Lotus wines. Tickets per person include lunch, two wine tickets, grape stomp, and an event t-shirt. Reservations required. Pleasant Hill Winery also celebrates crushing grapes big-time with four big weekends. At the different grape stomps, you’ll get purple feet and a special T-shirt for your stomping. Tickets required. Check their website for more information. Grape Stomp 2018 will be a fun event for those with a competitive spirit. Any two adults can participate in this event. One will do the “stomping” and the other will do the “collecting.” The couple producing the most juice in the allotted time wins! Admission includes live music, catered lunch, two glasses of wine, and more. Reservations Required. There are two weekends of grape stomping. Check the website for August 4 and August 11. The 10th Annual Harvest Fiesta & Grape Stomp will take place on August 11. The fun family event is free to attend, but tickets must be purchased to stomp grapes along with other goodies like an Annual Harvest Fiesta bag. Their event page has more information and the change to purchase your stomp tickets. 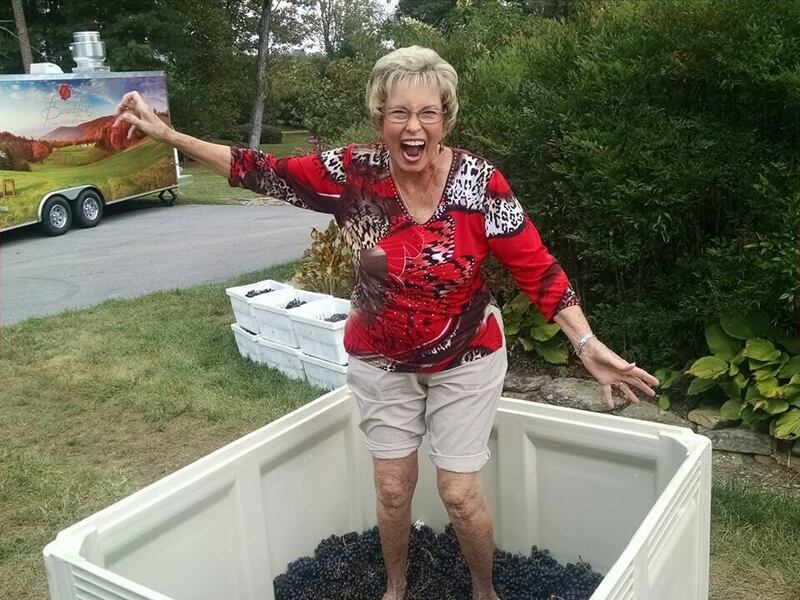 After harvesting Lenoir grapes at the estate vineyard, there will be celebrations including a team grape stomp. Live music by David Wayne and Doc Williams of Bandera will also be provided. Breakfast, gourmet lunch and other refreshments will be provided. Check out their website for more information. Three weekends and three different time slots per day brings you grape stomping at Pedernales Cellars. 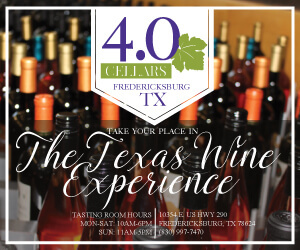 Participants will be shown different harvest and crush equipment, followed by the opportunity to stomp grapes and put your footprints on your own Pedernales Cellars t-shirt. 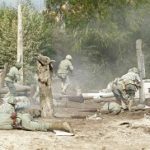 More information and the chance to reserve tickets are on their website. The William Chris Grape Punch is happening on three days and tickets will go on sale July 18. 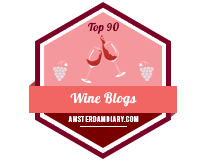 They want people to actually understand a part of winemaking, so in each session, they explain the entire process of grape to fermented juice, what extended maceration is, why punch downs are done, and then you can scrub your arms to your shoulders to conduct a punch down. Please check the event calendar on their website for more information. 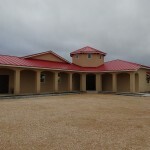 Messina Hof Hill Country Winery will host its annual Harvest Festival in Fredericksburg. Stomp the grapes that go into their award-winning Port. Like the Bryan estate harvest, stay for the Hill Country Big Kahuna Contest, barrel testing, and special Harvest dinner. Reservations Required. Check the bottom of their website for both days of the Hill Country Harvest Festival. Becker Vineyards Annual Grape Stomp will be celebrating stomping grapes for fun and guests can put their “stomp” prints on the backs of their souvenir tee shirt. The event is free to attend and no reservations are required. Please check their event page for more information. The 29th annual Harvest Fest at Fall Creek’s winery in Tow has a huge event planned. It starts at 11:30 a.m. with lunch and continues with music, barrel tasting with the winemaker, dining in the vineyard, and of course grape stomping. Check Fall Creek’s events page for more information and how to order tickets. The Labor Day celebration will feature the band Johnny and the Spinsations with a wide spectrum of great dance music. And of course the Grape Stomp Festival happens on the same day. Check their website for more information. The 32nd Annual GrapeFest will be held for four days and two-person teams will create their own “I Love Lucy” moment and take turns stomping approximately 18 pounds of grapes for two minutes. Sessions will be held throughout the weekend and fill up quickly, so get there early to register. More information on the GrapeStomp is on their website. The winery will be hosting their harvest festival and grape stomp in November. Do your best Lucille Ball imitation and celebrate the season. Check their website for more information. The 2018 Salado Grape Stomp is on September 22 this year! It was Nov 10 in the past. Thanks for the update. It has been updated.